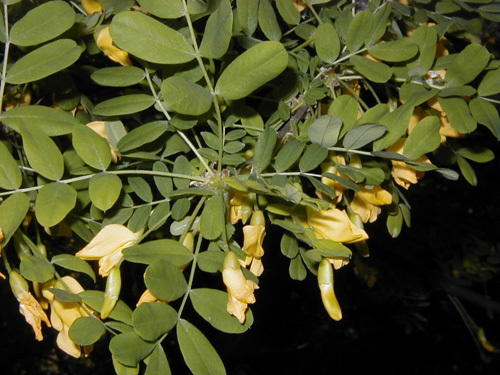 Known as Pea Shrubs or Trees (if they get large enough), the Caragana species are in the Legume Family, and they really do produce edible pods and peas. 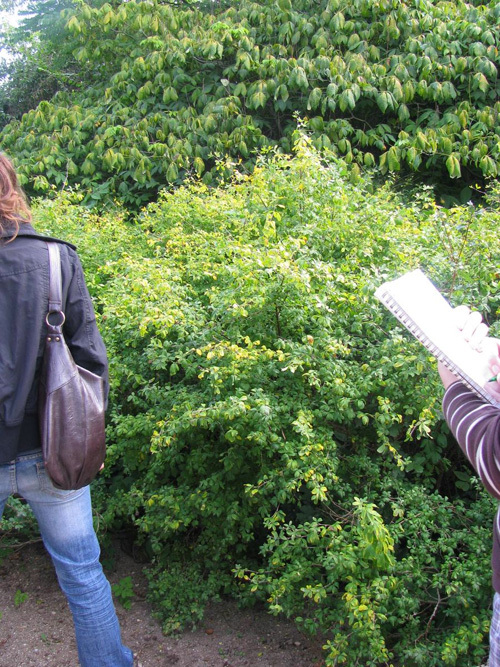 The Pea Shrubs are on my list of Permaculture super-plants! They are edible, fix-nitrogen, attract beneficial insects, can be used as a pioneer plant, a windbreak, and a hedge, are used to stabilize erosion-prone soil, can feed livestock, and are pretty with fragrant flowers. What more could you ask for in one plant? Native and widespread through Asia and eastern Europe, this plant has been used by native peoples for its edible pods and seeds, fiber from the bark, and dye from its leaves. It has been spread around the world first for its pods and seeds by settlers and in more modern times for its ornamental properties. It is also very recently begun to be used as a windbreak, erosion control, and degraded land reclamation plant. Pea Shrubs are considered invasive species in many locations in the United States… this just tells me there is a void which this plant is filling. 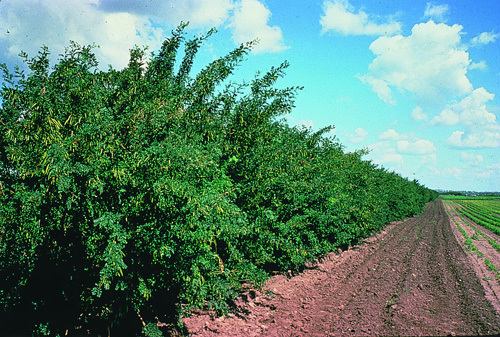 Pea Shrubs can withstand -40 F (-40 C) temperatures – perfect for very cold locations! There are many uses for the Pea Shrubs – seen here is Siberian Pea Tree/Shrub (Caragana arborescens) being used as a windbreak/hedge. Edible Pods – Young pods are eaten raw or cooked in Summer. Nitrogen Fixer – this plant creates its own nitrogen through a symbiotic relationship with microorganisms (bacteria) in its roots. It typically produces an excess of nitrogen that can be used by neighboring plants. This is a leguminous plant; Clover, Cowpea, Lupine, Soybean inoculation groups. Fodder Crop – chickens particularly enjoy this plant’s pods and seed, but there is also research supporting its use as fodder for sheep, goats, cattle, deer, reindeer, and camels! Yield: No reliable information can be found, but these plant yield high quantities of pods each year. Harvesting: Summer – pods can be harvested when very small (just over an inch). 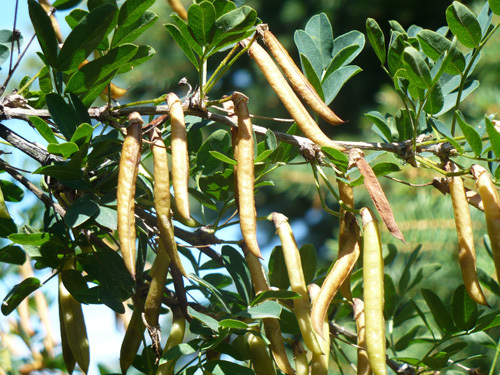 Autumn – if the pods are older but still green, they the peas can be eaten raw or cooked. If the pods have turned brown, pick them before they split and harvest the dried peas. Storage: Use pods and young peas within a few days. The dried peas will keep for years if kept in a dry location. The pioneering Caragana species will help rebuild poor soils. 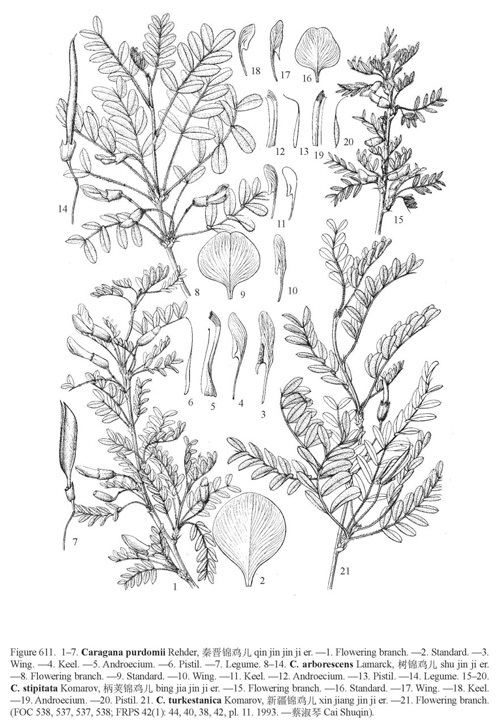 Russian Pea Shrub (Caragana frutex). Chill Requirement: No reliable information is available, but it is likely considering its origination location. 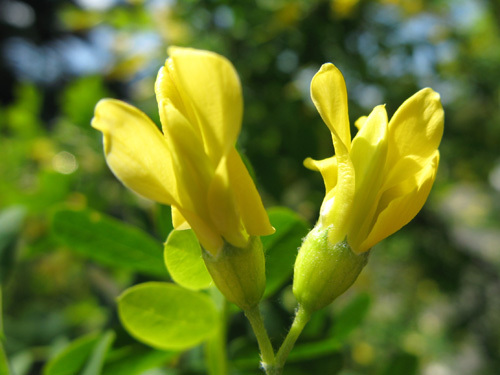 Cultivars/Varieties: There are a number of varieties of Caragana arborescens available, but these were all developed for flowers, not for other beneficial characteristics. Other than that, almost no development has been undertaken. There are a variety of sizes in the Caragana genus. 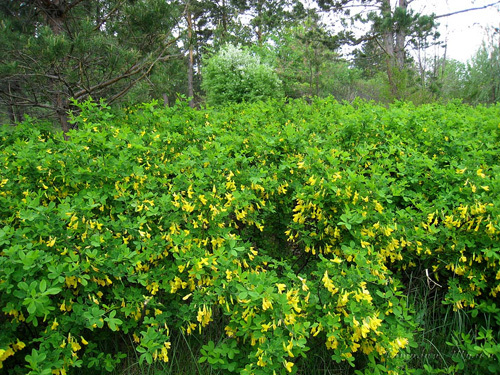 Here is the medium-sized Russian Pea Shrub (Caragana frutex). Fragrant flowers are just the icing on the cake of this multi-use “wonder-shrub”! Moisture: Dry to medium-moisture soils. Can tolerate failry dry conditions once established. Special Considerations for Growing: None. Typically from seed. Soak for 24 hrs first. If the seed has not swollen, then scarify and soak again for 12 hrs. Typically germinates in 2-3 weeks. Not dormant. Can be propagated from cuttings and layering as well. Most species have thorns which can be annoying to problematic depending on where they are planted and how they are used. 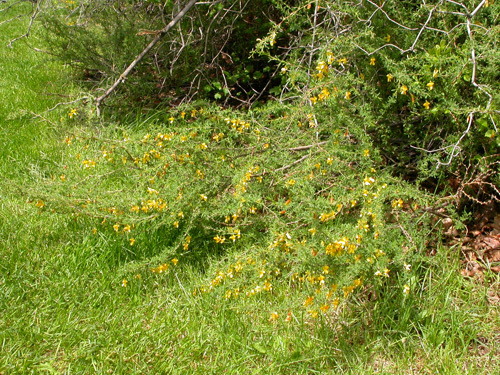 In some areas, the Caragana species are considered invasive; however, this appears to be more of a case in disturbed areas… which is why this is considered a great pioneer species. If the land was not mismanaged in the first place, and repeatedly disturbed, then there would be no place for pioneer species like this, and there would be no “invasive” label to this plant.